Pioneers in the industry, we offer semi automatic idiyappam making machine from India. We are ranked as the foremost Manufacturer and Exporter of Semi Automatic Idiyappam Making Machine. The offered Semi Automatic Idiyappam Making Machine is designed from premium quality components as per the quality norms. Our Idiyappam Making Machine is tested on several quality parameters in order to deliver a flawless range. 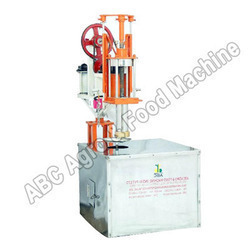 Additionally, this Idiyappam Making Machine is very easy to operate and needs less maintenance. This Idiyappam Making Machine is offered at nominal price to the clients.